BERLIN/HAMBURG (Reuters) -- Volkswagen and Suzuki are a step closer to resolving a long-running dispute over their failed partnership after a London-based court of arbitration wrapped up witness hearings, paving the way for a verdict by the end of the year, sources familiar with the matter told Reuters. 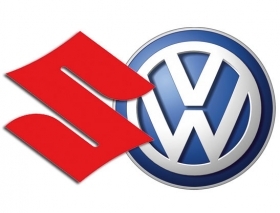 Suzuki filed for international arbitration in November 2011 after VW repeatedly refused to sell back a 19.9 percent stake in the Japanese carmaker that it acquired in January 2010. VW paid roughly 1.7 billion euros ($2.3 billion) for the stake. The London-based arbitration court is expected to issue a ruling before the end of 2014 after witness examination concluded two sources said, asking not to be identified because the matter is confidential. VW and Suzuki declined comment.